At the Tallinn Architecture Biennale – an urban environment created by the third industrial revolution; during Tallinn's Photomonth – the consumer of the future, an active participant in the manufacturing process; and throughout Estonia, the saga of the visual arts of Iceland – from the Old Masters to Björk and Eliasson. Plagiarism, references and parody in postmodern art – at the international contemporary art exhibition Paraphrases; an intriguing autumn program at the Lithuanian Film Centre; and phantasmagoria about distance at the 10th Kaunas Biennial in Lithuania. Pristine, always unpredictable and virtually Moon-like, the natural environment of Iceland has inspired numerous of the island's literary minds to weave their works around the most excruciating of life's subjects. Consequently, beginning with the ancient sagas all the way up to the short stories of Nobel Prize-winning author Halldór Laxness, the written word coming out of Iceland has had great influence in the legacy of world literature. The art of storytelling is also highly regarded in Iceland itself, as indicated by the fact that in this country of only 320 thousand inhabitants, more than a thousand new works are published on a yearly basis. It is only logical then that at the center of the exhibition Saga. Iceland: Art and Narrative, is the art of narrative, or rather, the narrative aspect of Iceland's visual art. In fact, the exhibition itself, which features Icelandic artists from various generations, has been set up according to the principles of compositional structure for dramaturgical works: the exhibition's “stage” opens to landscapes by 19th-century Old Masters, and then turns to the analysis of contemporary art forms, such as Björk's interactive music applications, and Ólafur Elíasson's visual epilogues on the recent economic crisis experienced in Iceland. Featured artists: Björk, Dieter Roth, Erró, Gabríela Friðriksdóttir, Helgi Þorgils Friðjónsson, Hrafnkell Sigurðsson, Hulda Hákon, Jóhannes S. Kjarval, Kristleifur Björnsson, Ólafur Elíasson, Ólöf Nordal, Ósk Vilhjálmsdóttir & Anna Hallin, Ragnar Kjartansson, Sigurður Guðmundsson, Steingrímur Eyfjörð, and Þórður Ben Sveinsson. Tallinn's Temnikova & Kasela gallery is celebrating its 5th anniversary with Corporate Jungle, a solo show featuring the latest works by Estonian artist Merike Estna. 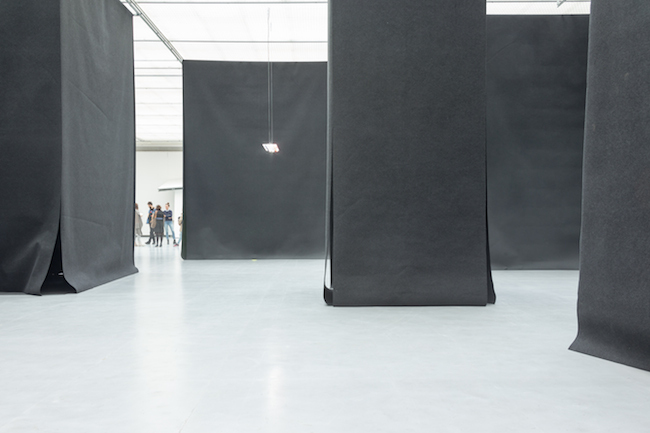 At the same gallery in 2012, Estna held the solo show A Big Painting and a Small Painting, in which she veered away from the painting of objects on canvases, and instead turned her attention to the canvases themselves, working with them as objects by combining painting with sculpture and video art. In this year's show, however, Estna has contrasted painting with digital visual communication. Also on view will be Estna's floor painting exhibited at this summer's Cēsis Art Festival – I'm a bit out of snyc, but next time I'll do better, I promise, executed in the brush-stroke technique and alluding to the movements made during the household chore of washing the floor. Every autumn since 1997, Tallinn has been home to the Black Nights Film Festival (PÖFF). Listed as one of the world's 15 leading film festivals, it features the year's best international and Estonian art-house films. The competitive part of the Festival's program is divided into three sections: the International Competition, the Tridens Estonian Feature Competition, and a newly-introduced event this year – the Tridens First Film Competition. Last year, 77500 audience members saw 662 films over 835 screenings. This year's film program is currently still being put together, but one event definitely scheduled is the European Film Forum, done in cooperation with the European Commission, which will concentrate on the future of European film and will include a conference and special film screenings. At the center of this year's third International Tallinn Architecture Biennale (TAB) is the theme “Self-Driven City”, which will look at the possible implications of the third industrial revolution, or in other words, how the development of the latest technologies will influence architectural processes, urban planning, and daily social processes. - 3DL – Architectural Algorithms and Ideas in Space, in which the Faculty of Architecture at the Estonian Academy of Arts will present how 3D Lab (3DL) and other new software packages have been used in the creation of architectural projects over the past five years. - The TAB-LAB Research and Development Exhibition, which will explore what the third industrial revolution will mean for the urban environment, and how new forms of production – exemplified by 3D printing, robotics, self-assembling and smart materials – are radically changing the way that architecture is executed and used. - The Vision Exhibition Epicentre of Tallinn will present viable design solutions for street intersections in the future, when only self-driving cars will be driving on city streets. Also covered will be issues such as how driver-less cars will alter the cityscape and the public space, and what this new public space could look like and the ideas behind it. - The exhibition World Without Architect?, developed by a team of young professionals from Latvia's architecture and tech industries, is a project in which they study how the use of virtual reality software will simplify the daily tasks of architects, as well as expedite communication between the architect, the client, and other experts in the field. Set up as part of the exhibition will be a specially made software program that will allow every visitor to virtually build a three-dimensional house with customized architectural and design properties, place it in the real Riga neighborhood of Zaķusala, and finally print it out on the Latvian-manufactured Mass Portal 3D printer – right there on site. - Body Building, the main exhibition at TAB, will explore how architecture is moving beyond the common borders of the discipline – how architecture and science have entered into a dialogue by way of the new territories of building aesthetics and spatial qualities as created by self-driven intelligent systems. The exhibition will consist of prototypes and installations executed by ten international architectural studios. As part of Photomonth, the contemporary art fair Photographic Art Fair Estonia will take place October 2-4 at Telliskivi Loomelinnak, Tallinn's quarter of creative industry. What is an artwork today, can be something else entirely tomorrow – this sentence, picked out from an interview with the artist David Bernstein, is at the very heart of the XII Baltic Triennial. The idea is not new: how we perceive an artwork and what we expect of it changes over time. Things get forgotten, switched around, and we end up looking at the wrong end of a musical instrument or playing a painting back to front. Sometimes, however, that’s on purpose: a composition decomposes, a song becomes a mood, a sculpture – a model, and a drawing – a letter. Are we then to talk about uses of art, or rather about the art of uses? Or better to just skip art overall? Well, let’s find out. In December of this year, the Vilinus gallery VARTAI will be presenting the expansive international contemporary art exhibition Paraphrases, featuring artworks from private collections sourced in Latvia, Lithuania, Poland, Russia and Bulgaria, among other countries. Māris Vītols (Latvia), the exhibition's curator, envisions the exhibition as a thrilling journey through the world's art history, the finest examples of which offer a bountiful source of inspiration for today's artists. Repetition can be found in practically every form of artistic work – plagiarism, references, parody, plays on intertextuality, etc. However, the most obvious way that the artistic heritage of previous eras is used is as "building material " for new creative works, with referencing (the most common form of this phenomenon) being accredited as postmodern art. The integration of references from art history into new works tends to also include the evaluation of past cultural elements, thereby frequently giving the new works an ironic tone. On September 18, the exhibition Threads: Fantasmagoria about Distance will open the 10th Kaunas Biennial – the largest contemporary art festival in the Baltic States. The well-known French art theoretician and curator Nicolas Bouriaud will be curating this show featuring artists from around the world. For this special anniversary year, the Biennial's organizers have decided to focus attention on the theme of contemporary communication by developing events that promote “live” interaction and the making of contacts. More than 80 modern-day artists, representing every corner of the globe, will be presenting their work, with a special emphasis having been placed on visual and sound artists. Events and shows will take place in large exhibition halls, as well in public and industrial spaces. - The Vilnius Documentary Film Festival (www.vdff.lt) will take place September 17-27. - From October 15-25, the human rights film festival Inconvenient Films (www.nepatoguskinas.lt) will not only bring viewers face to face with the harsh truth, but will also award those filmmakers whose works have both brought attention to human rights issues throughout the world and have given rise to public debate regarding the solving of these incidents of injustice. - November will bring the European Film Forum Scanorama (www.scanorama.lt/en) to Lithuania's three largest cities (Vilnius: Nov. 5-15; Kaunas: Nov. 12-22; Klaipeda: Nov. 12-18). Included in the program are films founded on reputable values as expressed through ideas, creativity, and intuitive spirituality. The Festival has taken its inspiration from cinema classics – Ingmar Bergman's work and the avant-garde film movement, with Lars von Trier in the foreground. Every year Scanorama brings to its audience the newest horizons of cinema, the latest generation of filmmakers, and the search for new directions in film, all while respecting the soundest of cinema traditions. - During the month of October, the FilmBox cinema at Exit A2 at Vilnius Airport will be featuring a program of Latvian short films.